No Sim card detected, emergency call only, no service fix to Android Samsung Galaxy s6 s7 s5, Mi Redmi Note 5 4 3, Xperia, Nexus, LG g5, HTC. When you were using your phone happily and having a good time with your friends, out of nowhere, and all of a sudden, your phone started showing you error No Sim card detected, emergency call only, no service, and your day is ruined. There is no definite answer and fix to this problem. You will have to go through the fixes and try them out one by one to troubleshoot and find out the source of the problem, which part is broken, your sim card or your phone, etc in order to fix it. Here’s the common causes and solutions I’ve tried personally on my Android device. This no sim card detected discussion can be applied to most of the common Android devices such as Samsung Galaxy s6 s7 s5 s4, Galaxy Note 5 6 7, Xiaomi Redmi Note 4 3, Mi 5, HTC one, LG g5 g4 g3, Sony Xperia z5 z4 z3, Nexus 6p 5, Huawei p9 etc, not for iOS devices like iPhone 7, 6, 6s Plus, iPad, etc. Find out if it’s your Sim card issue, instead of going straight ahead to fix your phone. 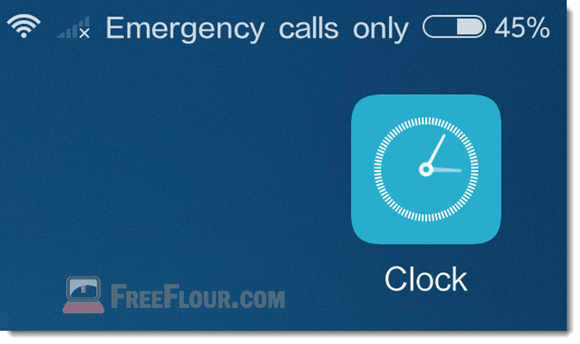 This should be the first ever fix to try with before you go ahead and start messing up your phone system and stuffs. To figure out if it’s your hardware issue, try to remove your Sim card from your phone and test it on another phone to see if it can be detected. If it doesn’t work on another phone too, it most likely means that your Sim card is broken and need a replacement. Sim card is more fragile than you think. It can be affected randomly by common cases such as when you drop your phone, charge your phone with the wrong voltage, to cases as rare as letting your phone’s torch light on for too long which results in burning your Sim card that usually placed near the camera flash. If that’s the case, just go to your nearest Telco and ask for a Sim card replacement. If the Sim card works on another phone, borrow a Sim card from anyone in your home and put it in your phone. If it can’t reads it, it must be your phone that causes the problem. It could be hardware issue where your phone’s sim card reader is defected, or that something is wrong with the software. Move on to the below solutions. As for this fix, please proceed at your own risk. This solution will change the network type of the Sim card slot on your device. Anyway, you can change it back to whatever it was if this doesn’t fix your problem. On your device, bring up the phone call and dial *#*#4636#*#*. Select phone information 1. Scroll down and look for set preferred network type. 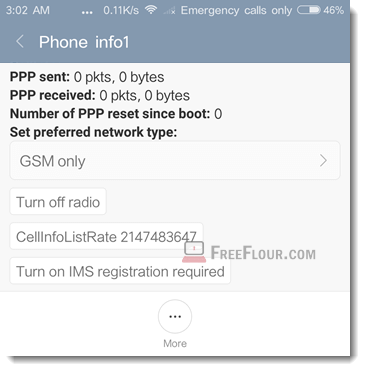 (Write down the original network type, so you can come back to this and change it back to the default if this fix doesn’t work) Select GSM only. Restart your phone and see if your Sim card can be detected this time. If it doesn’t, try again with the option WCDMA only and reboot your device again. If you have a dual sim device, there should be phone information 1 and phone information 2, select whichever slot that your Sim card is current in. Network type determines the type of network your card will be using, its signal strength and more. If you don’t know what your Sim card supports, maybe make a call to your telco and ask them about it. GSM or WCDMA are the most basic network types, so if your Sim card is still not detected even after changing it to GSM, it isn’t the network problem then. Continue to the other fixes below. Firmware can also be the issue if yours is way too old and if you often neglect the firmware update notice on your phone. As new apps and features become available, bugs would also appear and allow things to mess with your phone system and stuffs, including the ability to read and recognize your Sim card. That is why firmware versions are constantly updated and released to fix these never ending bugs. If your firmware is out of date or if you don’t even know if it’s up to date yet, go to About Device > System Updates > Check for Updates to check and update your android firmware. Different brands and different models of smartphones have different ways to update their firmware. Depending on which model you are currently using, the About Device might not have the system update option and it could be in somewhere else. You will have to Google a little bit on this yourself. By default, every android device will notify you when there is a new firmware available and that’s the easiest way to update your firmware. Try not to neglect these notifications. It’s important to always keep your firmware updated regardless if it’s for your Sim card problem or not. Updates are vital to keep your phone at its best at security, performance, lesser crashes, higher productivity and for new features. Sim card can get dirty too due to dust, sweats or whatever else that could expose to it regardless if you open the Sim card tray often or not. 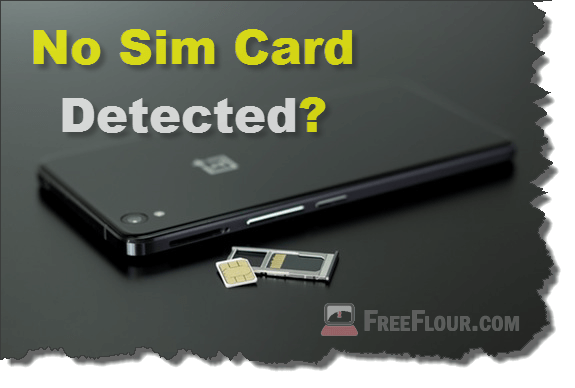 Try to clean your Sim card and see if it can be detected again. To clean your Sim card, remove it from your phone, blow away the dust and use a dry soft cloth along with some rubbing alcohol if you have any, and gently wipe the golden chip of your Sim card to remove the remaining dirt and oils from the surface. Be careful with the rubbing alcohol if you are using it and make sure it’s completely wiped off from the Sim card as it would damage the Sim reader and other compartments of your phone. Do not let alcohol near your phone. When you’ve done cleaning, put it back to your phone and see if it can be detected. If you have a phone that supports 2 Sim cards, we call it dual-sim device, try to use only 1 Sim at a time to find out which one doesn’t get detected. A common problem many have been facing is that both their Sim card works but only works when only 1 card is inserted at a time. When both are inserted, the sim card can’t be detected. There isn’t a practical solution to this problem other than giving up a Sim slot temporary until an update is released from your manufacturer to fix the problem. This should only be the very last resolution if nothing else work for you and you can’t find the cause of the problem. Wiping your phone cache means everything will be gone. You will have to spend some time to do a full backup before you wipe your phone’s cache. Wiping cache or re-flashing firmware or rom should only be done if you have past experience in these things. If you are not, you are better off sending your phone to your nearest manufacturer or your Telco service center.